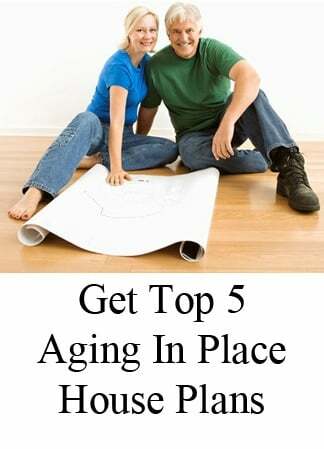 The master bathroom is usually one of the most customized rooms of your new home. From custom tile designs to vaulted ceilings to designer details like built-in cabinetry, shelves, and niches, there are endless options for creating your perfect master bathroom design. 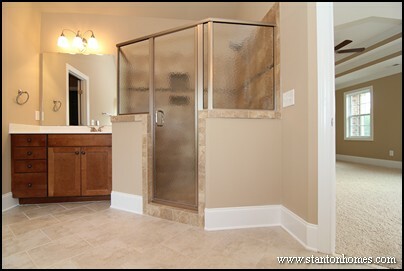 Take a look at these photos of custom home shower enclosure styles, to get ideas for your NC new home master bathroom. 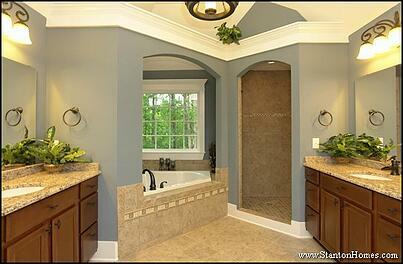 Framed shower enclosures are a popular option among NC custom homebuyers. 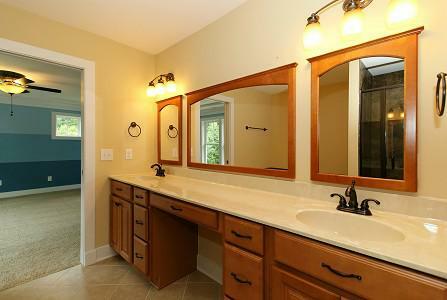 The frame style and finish can add dimension to any master bathroom. 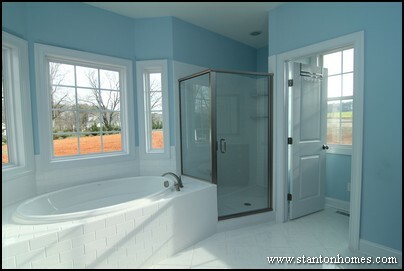 For example, this "All American" farm house style master bathroom features a framed shower with a brushed nickel finish. The shower door made of finished glass, and is frameless when opened. A white subway tile design is carried throughout the master bath, from the tub surround to the shower. 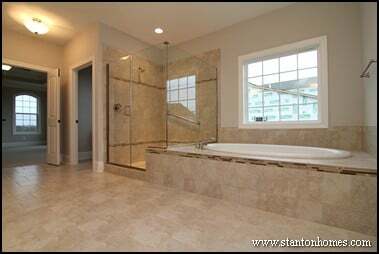 This custom designed master bathroom features a larger shower, also framed with a brushed nickel finish. This shower door is frameless, made of finished glass. Two toiletry shelves and a built-in soap dish provide extra functionality to this beautiful tile shower. Showers walled on three sides provide more privacy. A frameless shower door adds elegance to the shower room. This custom tile shower is walled on three sides, surrounding the homeowners with all the special details they chose. A listello accent, placed at eye level, breaks up the 12'x12' earth-toned tiles. The shower door is frameless, made of finished glass. 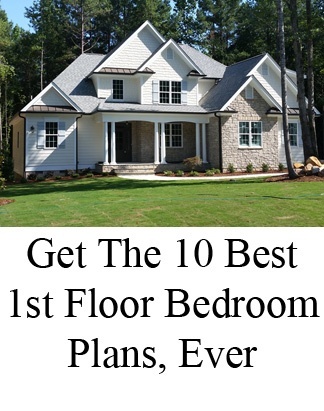 Watch a video tour of the home pictured here - The Penelope. 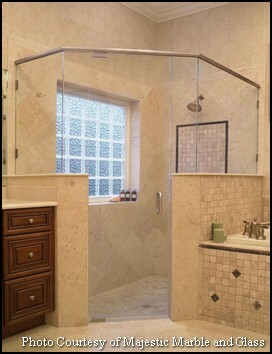 Frameless shower enclosures are also popular among NC custom homebuyers. How much does a frameless shower cost? A frameless shower can cost more than a typical framed shower, but pricing will depend on the size of the shower, number of angles, and other design features. 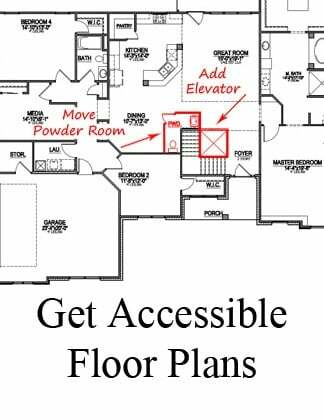 Talk to your builder about in-depth pricing guidelines. The frameless shower design adds a feeling of openness to the room. In this example, the completely frameless shower design features a finished glass enclosure with brushed nickel top piece. Two half-walls provide opportunities for built-in shelves on each side of this shower. Photo courtesy of Majestic Marble and Glass. 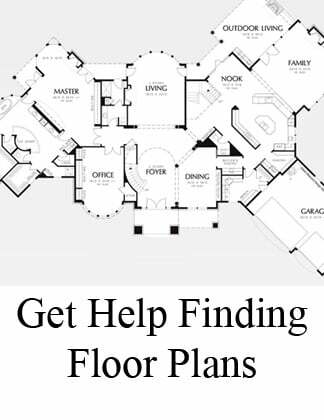 Click here to watch video tours of our most popular master bathroom designs.